Slovakia elected its first woman President following the victory of the anti-corruption candidate Zuzana Čaputová against the socialist candidate Maroš Šefčovič (SMER-SD). Čaputová is a lawyer from the liberal Progressive Slovakia (PS) party and has taken a strong pro-EU stance on further economic integration. Šefčovič is the current European Commission VP for the Energy Union and is hoping to return for another term of office as Commissioner. The EP elections will provide the first test for the liberal parties of PS and Together-SPOLU who are campaigning together. The presidential victory for the PS candidate has given them a boots and they are on course to win 2 seats. While SMER took a beating in the presidential elections, it still remains the biggest party but is likely to drop from 4 to 3 MEPs. The EPP affiliated party looks like being the biggest loser, dropping from 6 to 2 seats. In March 2018, a new government under Peter Pellegrini was voted in after the resignation of his predecessor, Robert Fico, following the murder of a journalist and his fiancée sparked mass protests in the streets. The killings highlighted the issue of corruption and media freedom. 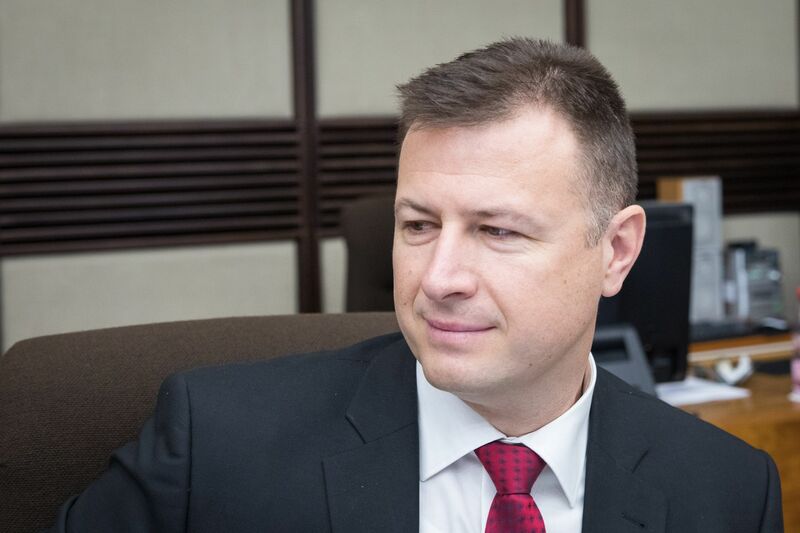 Jan Kuciak is believed to have been murdered for investigating the Italian mafia’s links with senior Slovak politicians from the ruling SMER-SD party. Despite the street protest and calls for early elections, the same 3 parties remain in government – centre-left SMER-SD, the ethnic Hungarian centrist Most-Hid party and the centre-right Slovak National Party. Pellegrini has promised to keep his government on a pro-EU path and he said they would continue to implement the manifesto approved after the 2016 election, in particular the goal of reaching a balanced budget by 2020. The new administration has kept most of the same people from the previous Fico administration, where Pellegrini served as deputy PM. The main change is the choice of a non-partisan figure as Interior Minister to try and restore stability. Fico still wields considerable influence from behind the scenes as he remains Chairman of SMER-SD. He has been PM for 10 of the last 12 years. The next elections are due in 2020. The public protests had called for early elections but SMER-SD managed to secure a parliamentary majority; Their liberal opposition is considered weak and fragmented and the crisis seems to have pushed more voters to support right-wing, nationalist parties. Slovakia will benefit from the additional seats released after the exit of the UK and have one additional MEP in 2019. To date, none of the political parties have finalized their candidate list.